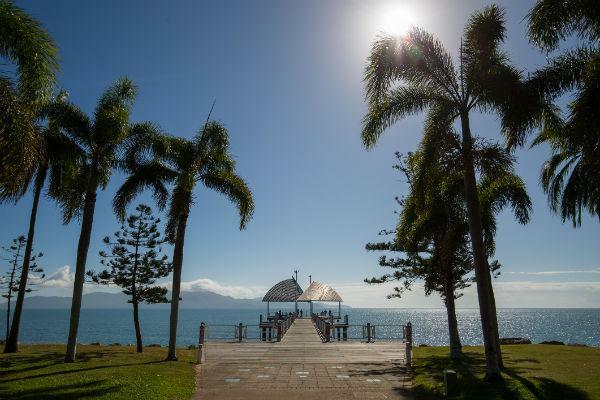 Beaches, history, and culture envelop Townsville and dazzle tourists from far and wide. The colours of the Great Barrier Reef are mesmerising and the view of Magnetic Island from Castle Hill is spectacular. This buzzing town is the perfect place to start an Australian adventure, and what better way to explore this incredible area than by rental car? Australia’s main roads are well signposted and easy to navigate. Townsville is much the same, but it pays to be extra aware of pedestrians and cyclists around this subtropical city. Townsville Airport is situated near the coast, just a few minutes drive from the heart of the city. Either jump in the airport shuttle and head to your hotel, or pick up the keys to your rental car in the arrivals lounge. ● Motorists drive on the left side of the road. ● Look out for special purpose lanes, such as bus or cycle lanes. ● The speed limit in the city is 50km/h and is strictly enforced. ● Always carry your driver's licence or international driving permit. There are over 700 free car parks in the Townsville CBD and many more paid facilities. Just remember to note the time restrictions to avoid getting fined. At Townsville Airport you have the option of short and long stay parking. Prices range from $5 to $20 during the day, but you can park for up to 10 days in the Premium zone. Car parks are located in close proximity to the terminal. Find the perfect rental car in Townsville by comparing a wide range of vehicle options through Airport Rentals. We work with local and international car brands to bring you the all best deals in one spot and we don’t charge a booking fee. Enjoy easy to use filters, secure online confirmation and 24/7 customer service. Townsville has direct flights from most major Australian cities such as Sydney and Melbourne each week. The airport has various facilities to suit every traveller's needs including free WiFi throughout the terminal, retail shops, dining areas, and very comfortable arrival and departure lounges. Accommodation in Townsville ranges from luxurious hotels to youth hostels. No matter your budget, you’re sure to find something suitable. Quest Townsville and the Grand Hotel and Apartments Townsville provide stunning rooms and are centrally located. Classique Bed and Breakfast offers a glimpse into history with beautiful decor and boasts amazing views of the city. For a lower cost option, try out the Castle Crest Motel or The Strand Motel. From sporting events to music festivals and everything in between, Townsville always has something on. ● The Flickerfest International Short Film Festival happens in April annually. ● The Townsville Cultural Fest shows the diversity of Australian culture, arts, food and more each August. ● For over two decades the North Queensland Festival of One Act Plays has been held in Townsville each May and is sure to provide you with an entertaining two days. ● The Intersport Townsville Triathlon Festival occurs in August and caters to any fitness level. ● Stable on the Strand is Townsville’s annual Christmas party. If you’re in the area in December, don’t miss it! All along the coast of the bay and scattered throughout the city are restaurants, cafes, and boutique eateries. For fine dining, A Touch of Salt serves delectable Australian cuisine, or enjoy the evening breeze at the Boardwalk Restaurant and Bar. If you’re after a more laid-back meal, Tobin Fish Tales has excellent fish and chips, perfect for taking away and enjoying down by the water. Over on Magnetic Island, the ‘in’ place to dine is The Early Bird, which provides delicious dishes made from locally sourced produce. Situated on the coast of Queensland on the edge of Cleveland Bay, Townsville plays host to 190,000 residents and sits between the major cities of Cairns in the north and Brisbane in the south. The Great Barrier Reef is right on Townsville’s doorstep, making the city a popular location for people eager to visit one of the seven wonders of the natural world. The culture, art, music and history of Townsville come alive around you as you experience the warmth and hospitality of the locals. ● Enjoy street art, shopping, fine dining and delicious coffee in the city. ● Go snorkeling on the Great Barrier Reef. 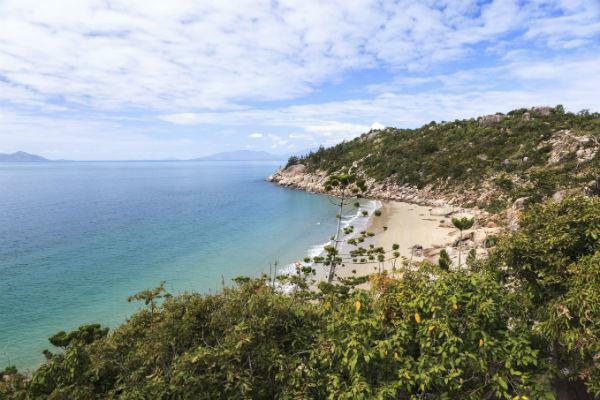 ● Take a ferry across to Magnetic Island for a day trip exploring the island’s 23 bays and beaches. ● Head to Hinchinbrook, which boasts the largest single drop waterfall in the Southern Hemisphere, Wallaman Falls. Getting around in Townsville is brilliant by rental car, but the city also has a great public transport system. There is a bus service that runs through most suburbs, and a ferry out to Magnetic Island. While the city doesn’t have a train line, the Queensland Rail includes Townsville in its state route. 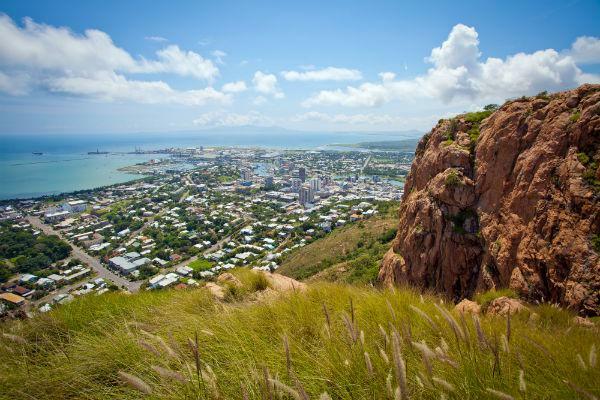 With an average of 320 sunny days a year, Townsville has spectacular weather. The summer months of December to February average a high of 31°C, and while winter only cools to a high of 25°C, there is a pleasant sea breeze to make the heat more bearable.